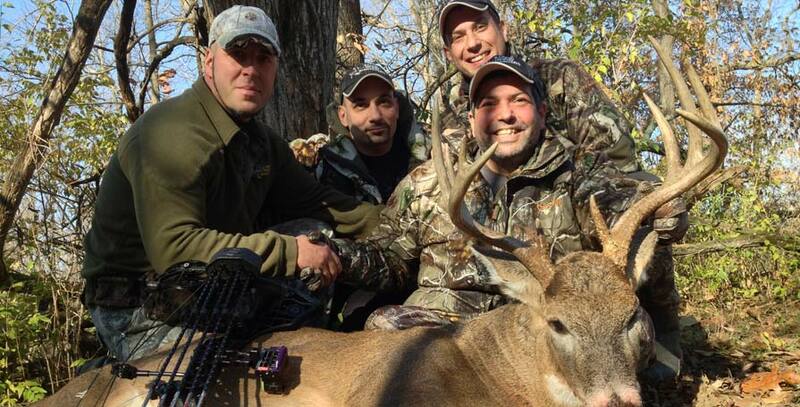 Illinois Trophy Bowhunters specializes in Illinois Archery Hunts. Archery deer hunting is our passion, it runs through our veins and we would love to share this excitement with you! All of our guides are experienced in Illinois bowhunting, helping many clients take their buck of a lifetime each season. Our Illinois Archery Hunts start in late October each year. 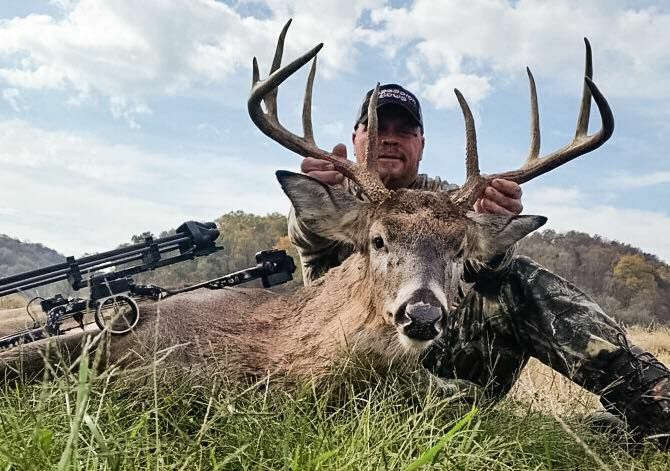 Even though the Illinois archery deer hunting season opens on October 1 and runs through mid January, we focus our Illinois bowhunting on a three week window that maximizes your chance of success. This three week window always starts during the last week in October, just as the whitetail rut is getting fired up! 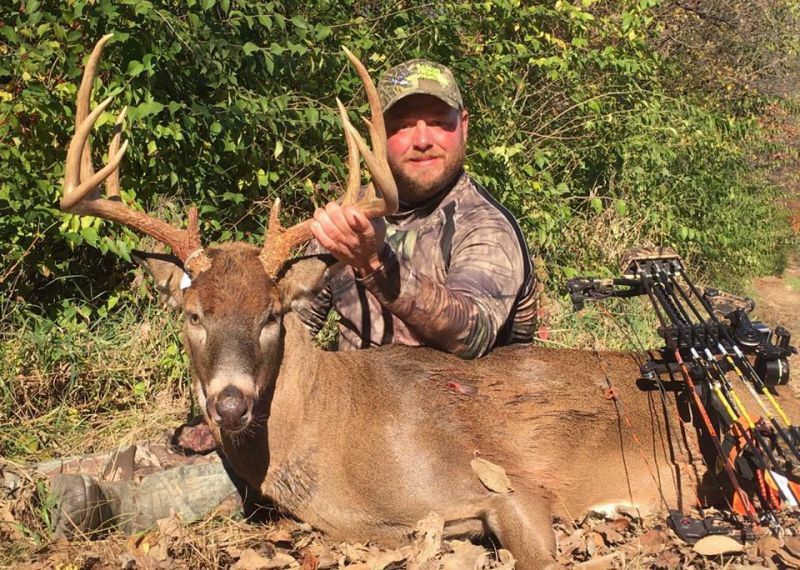 Weather will play a big factor in the outcome of your Illinois Archery Hunt. Typically, this time of year the lows will be around freezing with daytime highs in the 40’s. However, it is not uncommon to have a warm spell during your hunt with daytime highs approaching 80 degrees. When it gets this warm, or if it gets real windy, the deer action can come to a halt. That is why all of our Illinois Archery hunts include 6 full days of hunting. With 6 days, your chances of getting those couple of “ideal” days are better, thus increasing your opportunities. While you are in Illinois bowhunting, we encourage you to spend every minute of daylight in the field hunting. During your 6 day hunt you will have about 70 hours of “shooting time”. Our most successful hunters spend those 70 hours in the tree, no matter what the weather is. You won’t shoot a buck if you are back at camp. In addition, many of the biggest bucks we take each year are often killed mid day. Our Illinois archery deer hunting is mostly done from tree stands. We have ample stand locations on each farm and use a variety of hang on deer stands. These hang on deer stands have a combination of screw in steps as well as climbing sticks to access the stand. In addition, on some farms we have ladder stands, including some double ladder stands. We also have some ground blinds on a couple farms. If you have any special stand requirements, please let us know when you book your hunt so we can try to accommodate. On our “deluxe” and “refuge” hunts, your stands will already be hung at heights averaging 15-20 feet. Shooting lanes will be cleared out to a maximum of 25 yards to decrease your chance of having a deer jump your string. So if you are thinking about archery deer hunting in Illinois, we would love to host your next Illinois Archery Hunt. To learn more about Illinois bowhunting, visit our deer hunting tips page or contact us today to book your next Illinois Deer Hunt!